It’s unimaginable to lose precious memories as you age, but that is what most of us suffer when our mental faculty is declining. To make matter worse, we’re not having only having difficulty recalling past events but also having trouble sustaining concentration. A declining mental faculty is inevitable, but that doesn’t mean we should overlook taking supplements in fortifying our cognitive functions. Memory loss is often associated as a sign of aging, but there are other causes that may escape your attention. There are occasions where you struggle to recollect past memories even when you’re relatively young. Sleep deprivation – Getting enough sleep is important in creating brain waves that help to preserve memory. According to a research by the University of California, adults who lack quality sleep have problems in storing their memory effectively. Stress and anxiety – When you’re experiencing a high level of stress and anxiety, you may have a hard time in recollecting memories. Researchers have found that individuals with chronic stress have parts of their brain associated with memory affected by an excess of white matter. Depression – When you are in a lengthy depressive spell, you may also suffer from short-term memory loss. Depression affects your mind in a way that it’s hard to remember immediate past events. Alcohol and Tobacco – If you consume alcohol in excess or smoke, you risk having memory loss. Smoking tobacco prevents sufficient oxygen to reach the brain cells. Consuming alcohol also interferes in the capability of your brain in storing memories. Faltering thyroid – Hypothyroidism is known to result in memory loss. Medications – Certain types of medications such as antidepressant, antihistamines, painkillers, and sleeping pills may interfere with memory forming capability. When you are having trouble with memories, chances are, concentration is an immense challenge. This is because the changes in the brain that affects memory also disrupt the ability to concentrate. An individual with a strong focus power may find it impossible to concentrate on a particular subject for a couple of minutes if he or she is undergoing chronic mental distress. You may also find your mind sluggish if you’ve been getting a few hours short of sleep. Can Supplements Help In Boosting Memory And Concentration? For ages, humans have been trying to delay mental decline and this subject is particularly interesting to nutritional supplements manufacturers. 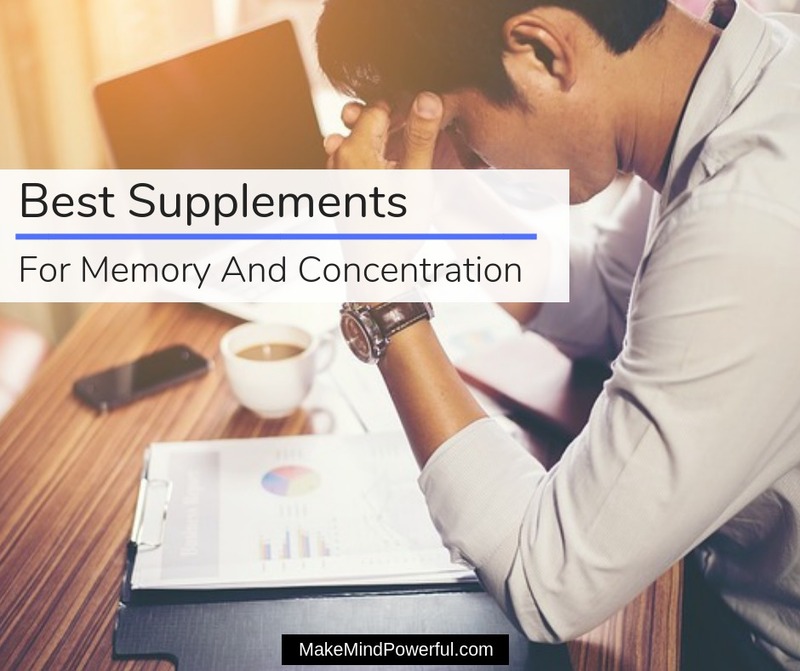 There are at least hundreds of products available that claim to improve cognitive functions, including memory and concentration. The supplements are often made of vitamins, minerals, herbs and natural components that the body requires. While it is undeniable that the supplements do have positive effects on our health, there is limited evidence in most of them that suggest they produce a similar result with cognitive function. Some supplements display more potential than others while there are others that could do with more extensive research. What this means is that the supplements may or may not be helpful for your memory at all, as scientific evidence remain inconclusive. Here are some supplements that are often associated with enhancing cognitive functions, and results from clinical studies performed. Panax Ginseng – Memory enhancement effects are observed in a 14 weeks study that involves 256 volunteers in the UK. Ginkgo Biloba – A clinical study involving 19 elderly volunteers who are prescribed with Ginkgo Biloba extracts shows positive improvement in memory retention. Vitamin E – When taken in the right dosage, researchers have found that Vitamin E promotes cognitive health and may slow the symptoms of Alzheimer’s disease. Huperzine A – Derived from Chinese herb Huperzia Serrata, studies have shown that this supplement can improve memory deficit in elderly people. Omega 3 Fatty Acids – Various studies have been conducted on Omega 3 fatty acids and one suggested that lonely people affected by memory loss can benefit from taking this supplement. Acetyl-L-Carnitine – This is a form of amino acids that have been linked to preventing a decline in memory function. It is particularly effective for elderly people suffering from Alzheimer’s disease. In all fairness, supplements associated with memory functions do offer benefits for your health. But like any nutritional supplements, they have to be taken in the right dosage and there’s always a risk of side effects. You should stay on the safe side by consulting with your doctor before taking any supplements. Be aware of potential interactions with some of the medicines that you’re currently taking. Most of the supplements are not verified safe for pregnant ladies and breastfeeding mom. You will also want to keep them away from children unless advised otherwise by your doctor. There are many manufacturers that lay unfounded claims on their products and some are available at ridiculously cheap prices. When choosing a supplement that can potentially boost your memory, price and extravaganza claims are the last thing you should look for. Ingredients – Some mind enhancing supplements are made of a single type of ingredient while others may combine two or more herbs and vitamins. Make sure that you know what you’re taking, including the potential side effects and what it does to your body. Scientific Evidence – There’s a whole lot of difference between the lack of scientific evidence to prove the effectiveness and decades of research that dismiss the potency of the supplement to boost cognitive health. Manufacturing Process – Any supplements, whether it’s mind enhancing or not, need to be produced in a manufacturing facility that is safe and adhere to strict procedure. A GMP label on them product signifies that it complies to strict manufacturing standard. Feedbacks – When scientific evidence is lacking, it helps to learn what others are saying after taking the supplement. The thoughts of losing precious memories are unbearable and you’ll hope that supplements can prevent mental decline. There are thousands of products available and comparing each of them is going to be time-consuming. Therefore, I’ve made this list where only supplements that are produced by reputable brands and enjoyed favorable feedbacks are featured. Fish oil is a common supplement that is known for various health benefits. It contains EPA and DHA, which are important omega-3 fatty acids that the body needs. Fish oil is derived from wild ocean fishes like tuna, mackerel, salmon, herring and anchovies. Taking fish oil is also believed to reduce the rate of memory decline. 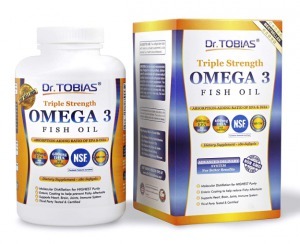 Dr. Tobias offers Triple Strength Omega 3 Fish Oil capsules that contains a high concentration of EPA and DHA. The oil is extracted from wild fishes in the ocean and not farm-raised. The oil is then purified with molecular distillation and tested by NSF to be free from harmful toxins. Each capsule is covered with enteric coatings to prevent from fishy aftertaste and for an optimal absorption rate. The fish oil is formulated with 4:3 EPA to DHA ratio to maximize absorption. Besides aiding with memory decline, taking fish oil also helps with your mental state and cardiovascular health. Sourced from wild ocean fishes. Enteric coating for optimal absorption. NSF tested and free from harmful components. Some customers received defective products. Ginkgo Biloba is an extract derived from possibly the oldest tree in existence on the planet. The Ginkgo tree is native to China and is believed to exist since the Jurassic age. The extract is prized for its medicinal properties which are believed to benefit various health functions, including improving memory and focus. 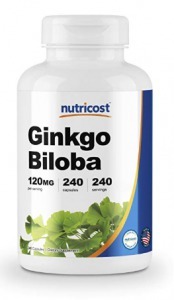 If you’re looking to introduce Ginkgo Biloba in your supplements routine, Nutricost provides a decent choice of Ginkgo extract in capsules form. Each capsule contains 120 mg of Gingko Biloba extract, with 24% of flavone glycosides, which prevents brain cell damage. The capsules are made of high-quality Ginkgo Bilobal extract processed in an FDA certified facility. The capsules are non-GMO and gluten-free. They were also tested by a 3rd party lab for any traces of impurities. Nutricost recommends that you take a single capsule each day, preferably during a meal, to get the benefits of the herb. Manufactured in an FDA registered facility. A strong concentration of Ginkgo Biloba flavone glycosides. 3. Kirkland Signature Vitamin E 400 I.U. Vitamin E is essential in protecting cells from damage in human. It is a powerful antioxidant that decreases the effect of aging by protecting cells from free radical attacks. There are 8 forms of Vitamin E and Alpha-tocopherol is one that is important to humans. While there is evidence that shows the effect of Vitamin E on improving memory deficit, you’ll want to talk to your doctor for the right dosage. Overdosage of vitamin E can lead to serious complications. 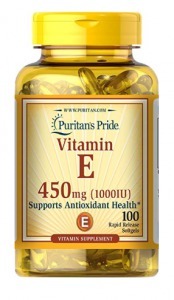 If you’ve got the green light from your doctor, you could get the Vitamin E soft gels produced by Puritans Pride. Each soft gel contains 1,000 IU of Vitamin E, which is a relatively strong concentration. Do note that it does contain soy and is not gluten-free. A strong dosage of Vitamin E.
Panax ginseng grows in Korea, certain parts of China and Siberia. It is not to be confused with American Ginseng or Panax Pseudoginseng. Panax ginseng has immense health benefits has is taken by mouth to address issues like anxiety, depression, Alzheimer, cancer, and cognitive decline. 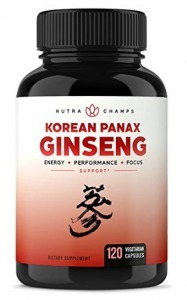 You can get potent Panax ginseng supplements from NutraChamps to boost your mental performance. The supplement is made red Panax ginseng harvested in an area in Korea that is famed for this herb for hundreds of years. Every single root is manually chosen and guaranteed to contain at least 5% of ginsenosides for maximum potency. The extract is then processed into easy to swallow vegetarian capsules. They contain no artificial fillers or harmful chemicals that may result in side effects. To enjoy the increased in mental energy and laser-like focus, it is recommended that you take two capsules of Panax ginseng daily as a supplement. Harvested from high-quality Panax ginseng in Korea. Contains at least 5% of ginsenosides. Not effective for some individuals. Huperzine A is an alkaloid compound derived from the Huperzia serrata plant, which is used in traditional Chinese medicine for treating fever. It has shown early promises as a viable alternative to Alzheimer drugs. Some studies have also suggested the effectiveness of Huperzine A in boosting cognitive functions. 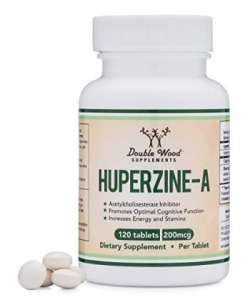 Double Wood Supplements offer a high-quality Huperzine A tablets that serve to boost your focus power. It does so by increasing acetylcholine in the brain, a neurotransmitter that is responsible for memory, focus, and learning. Each tablet contains 200 mcg of Huperzine A and is all you need a day to start boosting your memory and concentration. It is recommended that you cycle off for a week if you’ve been continuously taking the tablet for 3 weeks. The capsules are manufactured in the US and tested by the third party for purity. Potent supplement for boosting cognitive function. 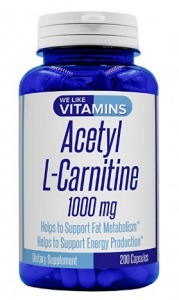 Acetyl-L-Carnitine is a form of amino acids that are naturally produced in the body. It has shown possibility in reducing the rate of mental decline which happens due to aging. This amino acid aids the body to produce energy which promotes various physiological functions. You can boost your mental energy and concentration by taking these Acetyl-L-Carnitine capsules by We Like Vitamins. A single serving of two capsules contains 1,000 mg of the amino acid. When taken as a daily supplement, it helps to boost memory and produce more energy at a cellular level. Every bottle of the supplement is produced in a GMP certified facility and contain no artificial fillers or harmful ingredients. You’ll notice that your memory improves after a while, which is a convincing sign that age is just a number. Manufactured in a GMP facility. Labeling errors in some products. Some people would prefer the synergistic effect when a few brain boosting components are brought together in a single supplement. 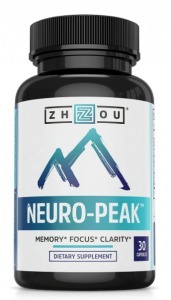 This Neuro Peak supplement by Zhou Nutrition consists of Vitamin B-12, Bacopa Monnieri, Phosphatidylserine, Ginkgo Biloba, Rhodiola Rosea, and DMAE to support cognitive performance. Neuro Peak is an ideal nootropic formula that is formulated to improve memory and other cognitive functions. It does so by improving the circulation of oxygen in the brain. Certain natural ingredients, such as the Rhodiola has been used for its mental enhancing effects for hundreds of years. Taking a single capsule a day is all you need to improve your focus and increase mental energy. Besides that, the supplement also helps you to stay calm and alert while elevating your mood. While it’s free from harmful chemicals, Neuro Peak contains soy, which may cause allergic reactions for some individuals. Contains 6 unique ingredients that promote cognitive functions. Boost mental agility in elder people. Increased mental clarity and positive mood. Not effective for some buyers. 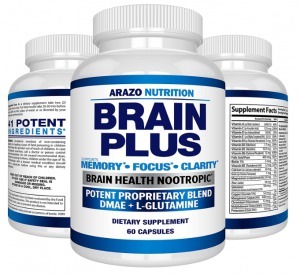 Both aging seniors and college students could use a memory boost from this supplement by Arazo Nutrition. It is made of a proprietary blend that includes DMAE Bitartrate, L Glutamine, Green Tea, Bacopa, Choline, N-Acetyl L- Tyrosine, Inositol, Bilberry Fruit, GABA, Grape Seed, and more. The supplement is formulated to boost mental performance, energy and congitive function by increasing circulations of oxygen in the brain cells. As the extracts are absorbed into your body, you’ll notice an increase in focus, especially when working on critical tasks. This is such a potent supplement packed with the benefits of 41 vitamins and herbs that you only need to take a single capsule daily for it to be effective. Each capsule is produced in an FDA approved GMP facility and tested for safety and potency. 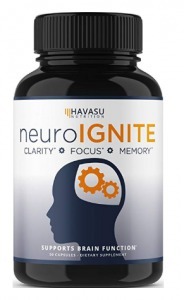 Neuro Ignite is brain-boosting supplement developed by Havasu Nutrition. It uses cognitive enhancing ingredients like Bacopa Monnieri, St. John’s Wort, DMAE, Ginkgo Biloba, Phosphatidylserine, Acetyl L-Carnitine and Huperzine A to create a unique blend. The supplement is formulated for rapid absorption to produce positive results quickly. You can take the capsules for an uplifting mood or increase mental performance. A single capsule daily is a sufficient dosage for you to reap the benefits of the ingredients. You wouldn’t suffer any after-effects associated with caffeine as there are no traces of it in the supplement. It is manufactured in a facility that practices strict GMP guidelines and tested to ensure the capsules are safe. Made of ingredients that promote cognitive functions. If you need a highly potent brain booster, Genius Consciousness is a decent choice. It combines ingredients like Acetyl L-Carnitine, Lion’s Mane, Alpha GPC, L-Tyrosine, Panax ginseng, Huperzine A and more to elevate your cognitive performance. The supplement is formulated by doctors and clinically tested to ensure its effectiveness. It helps you to clear any brain fog that is clouding your thoughts and improve concentration in daily tasks. The manufacturer claims that the supplement can help to increase energy, mood and focus in as short as 15 minutes. But what’s more important is the long-term effect in boosting your memory. 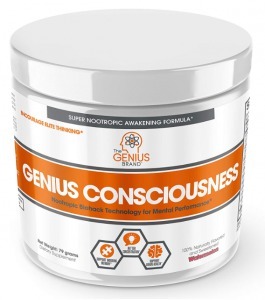 Instead of capsules, Genius Consciousness is produced in powder form. It is recommended that you mix 1/2 scoop with 10 oz of water. You may increase the powder to one whole scoop if you need a larger boost of mental energy. Made of natural mental boosting ingredients. Effective in enhancing mental performance. Some customers experienced side effects. You can also check out Performance Lab’s Mind, a brain enhancing supplement that is made with a blend of ingredients like Citicoline, Phosphatidylserine, N-Acetyl-L-Tyrosine, and Maritime Pine Bark Extract. The capsules are made to provide a high absorbent rate. They are vegan-friendly, non-GMO soy-free and produced in a GMP certified facility. Besides increasing brain energy, taking Mind capsules help to increase focus and mental processing speed. If you’re constantly under tremendous stress or struggling from a burnout, taking Mind helps. The ability of the synergic blend will send a sufficient supply of oxygen and glucose to your brain for effective rejuvenation. Supplements may be a welcomed effort in improving your cognitive functions but they shouldn’t be the only solution that you depend on. Here are other ways that you could incorporate into daily life to boost memory and concentration. Exercise – Your brain is only as healthy as the physical body it resides in. Do not forgo your routine workout at the gym or taking 30 minutes stroll in the park. Physical health is key to a healthy mind. Brain Work Out – As with your muscles, brain functions deteriorate if you don’t use them constantly. Keep your mind active by learning new skills, picking up hobbies, playing chess or other activities that stimulate your brain. Avoid Unhealthy Lifestyle – Alcohol and tobacco destroy your cognitive functions. Stop relying on cigarettes and liquor to channel your stress away. No supplements could help if you’re stuck with these habits. Get Sufficient Sleep – You may have read how successful people only sleep 2 hours a day. It’s not a path that you should follow if you wanted a slower decline in cognitive functions. Get all the sleep that you need and you’ll notice the freshness in your mental energy. Be Social – It is proven that loneliness can lead to degrading mental performance. Humans are meant to be social creatures. Join a club or participate in volunteering activities to interact with others. It helps to keep your mind sharp and focused. Learn To Destress – Stress is inevitable in daily life. It’s how you deal with it that matters. Ensure that you have an effective mechanism to cope with stress to prevent it from developing into anxiety or depression. Laugh – As we age, we forgot the simple joy that care-free children feel. It’s time to make time for laughter as laughter activates areas of the brain the promotes learning and memory. Are you suffering from memory losses? Do you have trouble concentrating? I hope this guide has been useful for you to improve your mental condition.